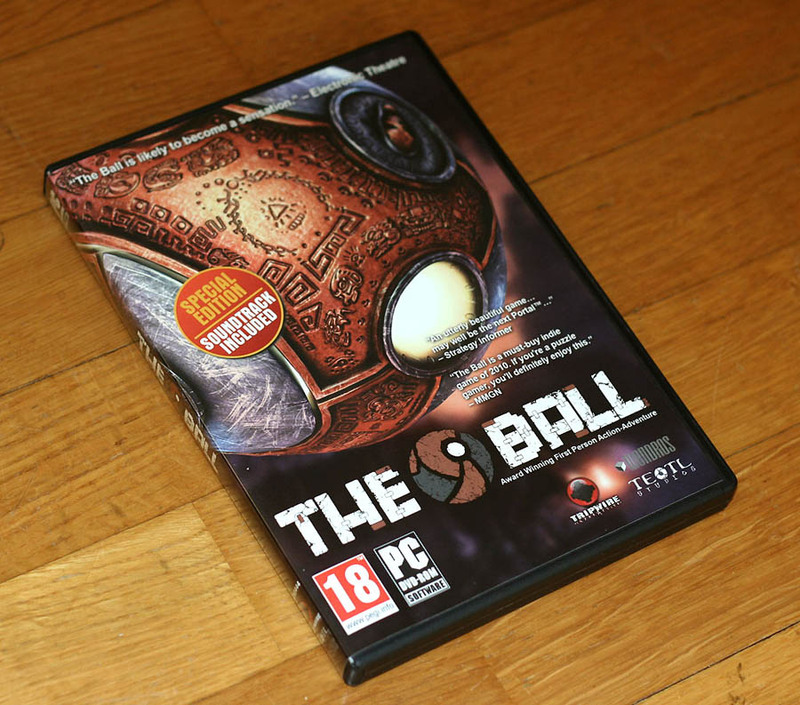 The Ball is an Unreal Engine 3 singleplayer action/puzzle game. 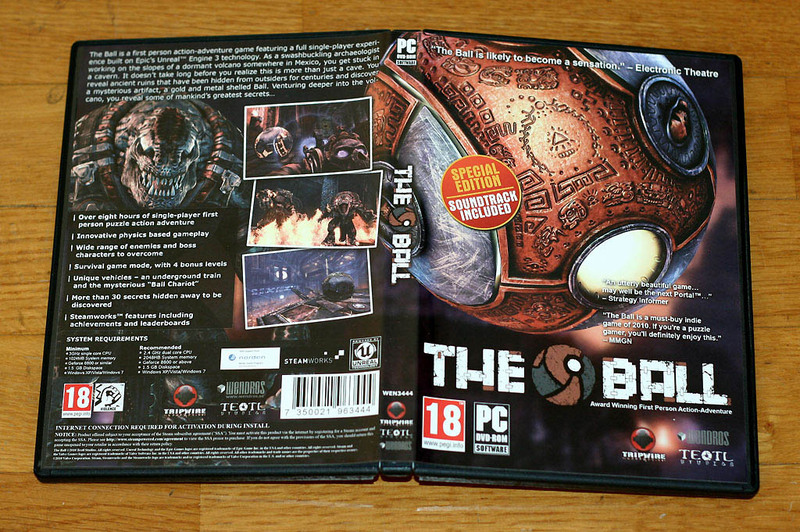 The game will be released October 26, 2010 for PC on Steam, and it will also be available on Impulse, Gamersgate, D2D, and in shops world wide! Playing from a first person perspective, you solve puzzles and crush monsters with a large physics driven ball, manipulated by the pushing and pulling forces of an ancient device. The Ball has just became available on GamersGate, Impulse, our own website, and thanks to Wendros can now be found across stores in Scandinavia! And if that wasn’t enough yet, how about all whole batch of new reviews? As for the release tomorrow/today. The game will go on sale Valve-time. So that means probably quite late for the Europeans. Some time in the evening. Iceberg Interactive has released a playable demo for The Ball. 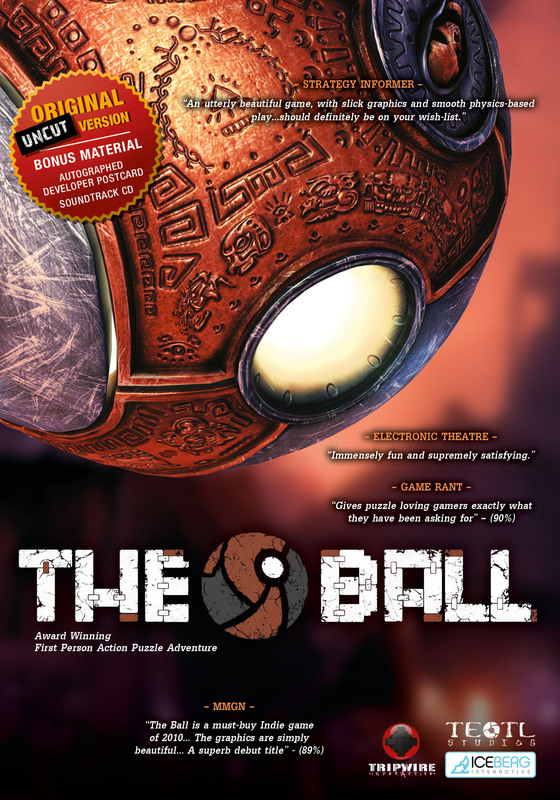 The Ball is a first person action-adventure game featuring a full single-player experience built on Epic’s Unreal™ Engine 3 technology. A press kit that contains: three high resolution logos, and a presentation that aims to introduce the game to the reader in less than two minutes. I just bought the game. The graphics are weird, it looks a bit like a cartoon, but it's a pretty good game. amazing and creative. dont let any of the critics bother u, they're just a bunch of old gamers expecting another "run and gun" fps. this game definitely gives more life to first person puzzles just like portal did and it's really inspiring just to play it. cant wait for your next game. I bought this game and it is awesome! I followed your tutorials and updates, hourences, and I'm glad to add you on indiedb. Great game! Clearly need a slap in the face to wake you up.Show you what real games are! its not boring. the only problem is replayability, and lenght. no mods, no coop, no dlc, no nothing. at least they made a demo for guys like u. im looking forward to the next episode with the options mentioned above. I've read in your faq, that the game will be available in Europe by Iceberg Interactive. Will it come to middle-eastern Europe (Hungary in my case)? If so, when? almost the same as the mod, with some better models/textures. the transparent thing was a good idea at least. y u no add mapeditor?